The miracle of the resurrection meant that Jesus died a real death but the body did not see decay. On the first day of the week when the women returned to the tomb to anoint the body of Jesus, the women discovered that the body of Jesus needed no anointing for He had risen without corruption. Because Jesus rose – death, the devil, and sin are defeated. The resurrection is the victory that gives believers the same victory in Christ. The resurrection wrought transformation in the lives of the early believers who saw Jesus alive. We too have the same blessing, though having not seen with our eyes, we know, believe, and love Him. Let’s make this year’s Resurrection Celebration a day to reach out with the glorious message of the Risen Lord. Remember the sacrifice of Christ at the Lord’s Supper Sunday, April 14 at 10:15 a.m.
Bring your work associates and friends to the Pre-Easter Noon Luncheon Service, Thursday, April 18 at the Pastime Civic Center. Free invitation tickets are available at the church. 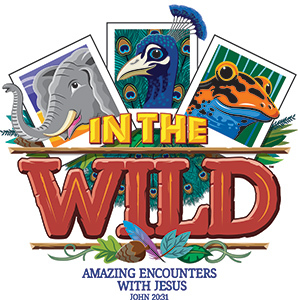 Attend the Spring Easter Drama Saturday, April 20 at 7:00 p.m. and Sunday, April 21 at 6:20 p.m.
Bring a Family member and Friend to the Easter Services Sunday morning, April 21. Bible Study at 9:00 a.m. Resurrection Celebration Service at 10:15 a.m. I Believe in the Resurrection of Jesus Christ! The 21 days of prayer offer all of us an opportunity of spiritual adventure with the Lord. It will be a devoted time to offer ourselves at God’s disposal to teach and lead us. Please avail yourself to every time possible. This Sunday I will teach the PRAYER FOR SPIRITUAL AWAKENING SEMINAR. You will receive a manual to help in the teaching time. This will be an enjoyable time of study as we launch the 21 days. When the saints enter heaven, multitudes will discover the prayers that got them to heaven. Christmas Offering is a key part of that. missionaries can take the gospel to unreached peoples around the world. Every dollar you give makes a difference, because 100% of the money collected goes to the work of reaching every nation. American churches to fund more overseas workers. 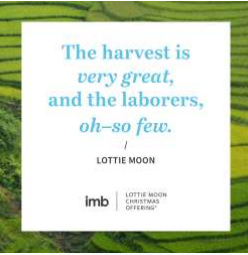 After Lottie’s death on the mission field, an offering was started in her name. The offering was established to empower international missions efforts for Southern Baptists. activities gives me great joy. How can we pray for those who will go through Judgement House this week? Here is an acrostic provided by NAMB. The acrostic HEART will help one remember what to pray. (see Matt. 13:15; 2 Cor. 4:3-4). (see 2 Cor.10:3-4; 2 Tim. 2:25-26). I look forward to Sunday with the story of the conversion of Paul. Thank God for the Showers of Revival Blessings!